Last year it was cakes and buns, this year its cordials! In our quest to avoid the aspartame (see the post here on our reasons why) I’ve scoured the books looking for ways to make some of our produce into cordials. 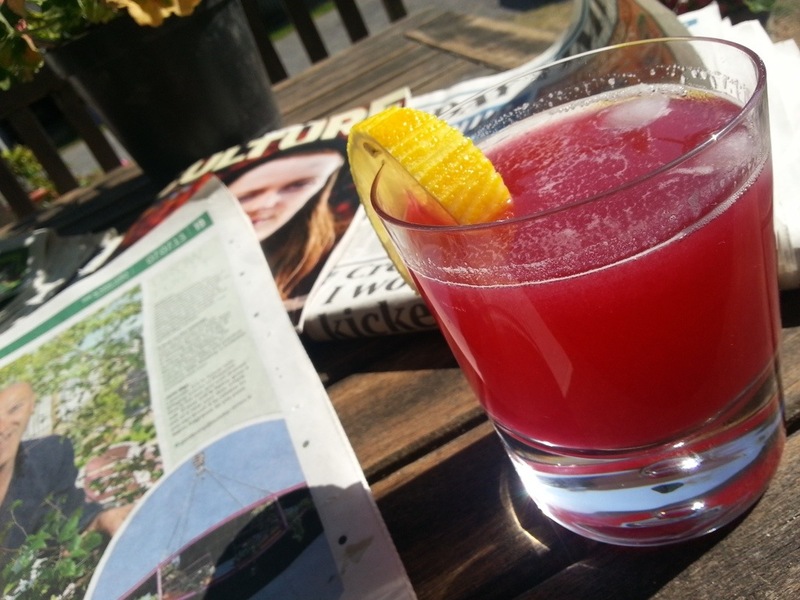 This week I brought home a few blackcurrants from Callan community garden and made this delicious summer juice in just 15 minutes. The refreshing recipe below (published in The Guardian recently) doesn’t make a huge amount – 400g of blackcurrants makes about 750ml concentrate cordial, but it reminded me of childhood summers and drinks as they used to taste before they became chemical cocktails. 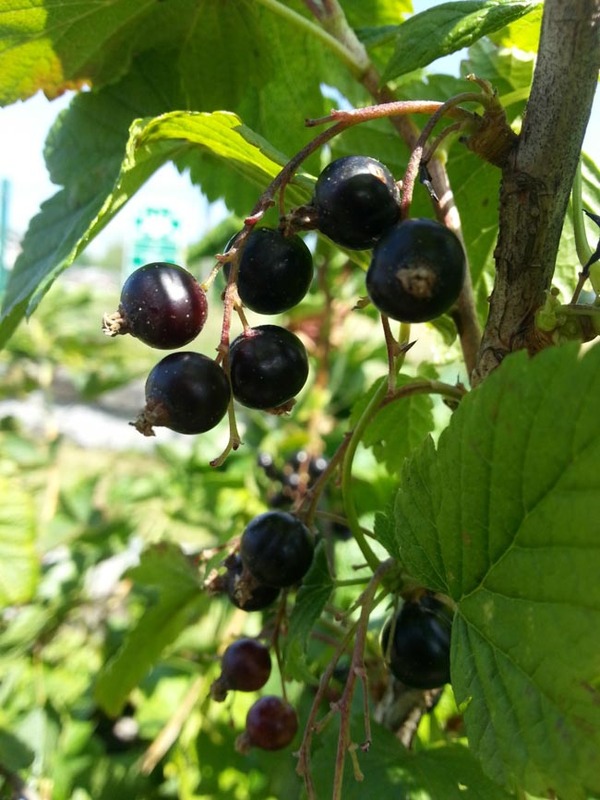 If you’re growing blackcurrants, know anyone with a blackcurrant bush or spot any in your local farmers market, it’s well worth trying and a lovely way to use the fruit. Just a quick word of warning if you’re growing these sharp little fruit that are packed full of vitamin C in your garden or allotment, they’re prone to attack from a little caterpillar that’s the larvae of the gooseberry sawfly so do keep an eye out or you could lose them all in a couple of days. Simmer the sugar, blackcurrants and water in a heavy based pan gently for 5 minutes. Using a potato masher, break up the fruit to release as much juice as possible. Add the citric acid and simmer for another 2 minutes. Strain the liquid through a piece of muslin and pour it into a sterilised bottle and keep it in the fridge. If you can’t find muslin anywhere, a fine sieve will strain the largest of the remaining pulp but the liquid wont be as clear. The remaining pulp can be saved and used to flavour natural yoghurt. I make a blackcurrant cordial here too…. it is much loved by all kids who visit! Never thought of trying it the adult way!!!!! Having tried the strawberry cordial with Cava Margaret and discovered how utterly delicious it is, will give any juice a go now! Thanks Naomi, kind to say though sure you would have put a much more scientific slant on it 🙂 Like many areas surrounding food, the whole area of aspartame is a minefield with people from both sides having their say. I’m with you though, taking our chances with the sugar and trying to keep our intake as natural as we can. Yum, sounds lovely! If anyone is having trouble finding muslin or fine strainers for making fruit and flower cordials, you will get them from a home brew supplier…. I use http://www.homebrew.ie they are very good. Excellent, thanks Lilly, great tip! We love it Patti 🙂 I may try and make the cassis this year as was gifted some and it was delish! How long will this cordial keep in the fridge? I’m not sure as it didn’t last that long in our household, though I would imagine the amount of sugar in it would preserve it for a good while. Hi, I’m having trouble sourcing citric acid – can I use lemon juice instead? Hope this isn’t a silly question! My understanding is that the citric acid is purely to preserve the cordial. I would imagine lemon juice would work but am not an expert in this.